There's never not an audience for potty humor, especially when it's brazenly entertaining. KaBOOM! is taking that humor to the next level with the May debut of the oversized Bravest Warriors: Tales from the Holo John #1 one-shot, packed with short stories focused on the property's lavatory, the Holo John. Paul Allor, Ryan Ferrier, Kat Leyh, Mad Rupert, Eryk Donovan, Adam Del Re, Jorge Corona and John Omohundro all team up for the new book, promising to offer plenty of laughs for readers. Bravest Warriors: Tales from the Holo John #1 arrives in comic shops on May 27th with a main cover by Jonathan Brandon Sawyer for the price of $4.99 under Diamond order code MAR151109. Also available in a limited quantity is a retailer incentive cover by Artyom Trakhanov. The Final Order Cutoff deadline for retailers is May 4th. Full press release below. April 23, 2015 (Los Angeles, Calif.) - KaBOOM!, the all-ages imprint of award-winning publisher BOOM! Studios, is taking potty humor to the next level with the May debut of the oversized Bravest Warriors: Tales from the Holo John #1. 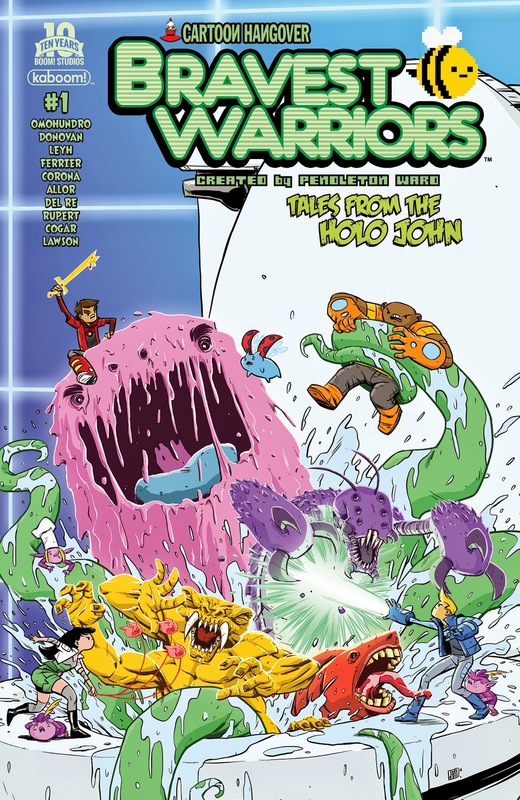 This special one-shot is packed with short stories focused on the Bravest Warriors’ lavish lavatory, the Holo John—a cross between Star Trek’s Holodeck and the wacky irreverence of Bravest Warriors that lets users live out their wildest (or lamest) fantasies—and features a cavalcade of talented creators, including Paul Allor (Teenage Mutant Ninja Turtles), Ryan Ferrier (Curb Stomp, D4VE), Kat Leyh (Adventure Time: Marceline Gone Adrift), Mad Rupert (Adventure Time: Banana Guard), Eryk Donovan (Memetic), Adam Del Re, Jorge Corona (Feathers), and John Omohundro, the voice of Danny on the Bravest Warriors animated series! 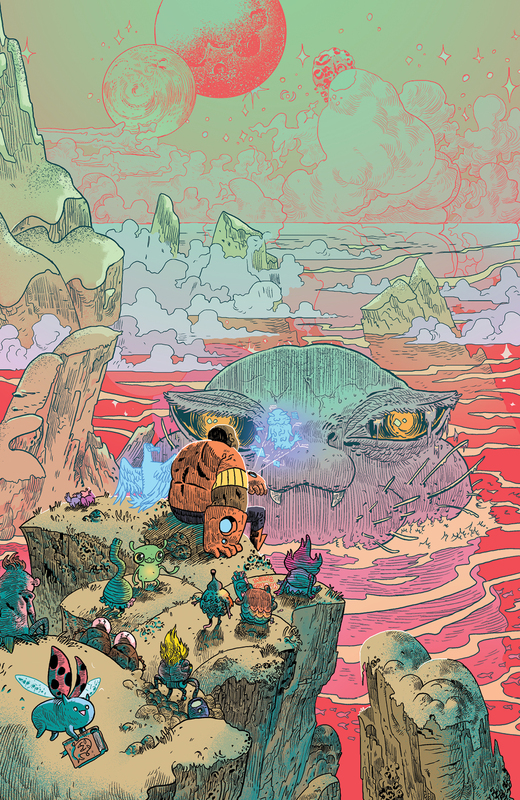 Bravest Warriors: Tales from the Holo John #1 arrives in comic shops on May 27th with a main cover by Jonathan Brandon Sawyer (Critical Hit) for the price of $4.99 under Diamond order code MAR151109. Also available in a limited quantity is a retailer incentive cover by Artyom Trakhanov (Regular Show). The Final Order Cutoff deadline for retailers is May 4th. Not sure where to find your nearest comic retailer? Use comicshoplocator.com or findacomicshop.com to find one! It’s also available for order directly from boom-studios.com.